U.S. cable operator Charter Communications Inc said on Sunday it was not interested in acquiring U.S. wireless carrier Sprint Corp, leaving the latter’s majority owner, SoftBank Group Corp, pondering how to orchestrate a merger. A merger of Charter and Sprint would create a telecommunications powerhouse, providing a one-stop shop for customers looking for internet and mobile phone services, and giving the combined company a stronger footing in creating the infrastructure required for so-called 5G wireless technology. SoftBank Chief Executive Masayoshi Son is considering making an acquisition offer for Charter, which has a market capitalization of $101 billion and another $60 billion in debt, as early as this week, a person familiar with the matter said on Sunday, in what would be by far the Japanese telecommunications conglomerate’s biggest ever deal. SoftBank remains interested in merging Sprint with T-Mobile US Inc, another U.S. wireless carrier controlled by Germany’s Deutsche Telekom AG, with which Sprint held deal negotiations earlier this year, the source added. The source asked not to be identified because the deliberations are confidential. SoftBank declined to comment. “We understand why a deal is attractive for SoftBank, but Charter has no interest in acquiring Sprint,” a spokesman for the Communications’ firm said in an emailed statement on Sunday. He declined to comment on whether Charter would entertain a bid from SoftBank and at what price. Sprint and T-Mobile could not be immediately reached for comment. SoftBank’s potential bid for Charter would follow the conclusion of two months of negotiations with Charter and larger cable peer Comcast Corp over Sprint potentially serving as their mobile virtual network operator (MVNO), allowing them to use its network to offer wireless services. “We have a very good MVNO relationship with Verizon Communications Inc and intend to launch wireless services to cable customers next year,” the Charter spokesman said. SoftBank’s interest in Charter also shows it is looking for alternatives to strengthen its negotiating hand in Sprint’s negotiations with T-Mobile, analysts said. “This could be a way to gain leverage in a T-Mobile deal,” Macquarie analyst Amy Yong said of Son’s pursuit of Charter on Sunday. To be sure, a bid for Charter by SoftBank, which has a market capitalization of 9.9 trillion yen ($90.3 billion), would be a stretch for its finances, given that it would likely be without the deployment of the $100 billion technology-focused investment fund called Vision Fund it raised this year. Sprint’s market capitalization is just $32.8 billion, and it has a similar amount in debt. A bid for Charter that would give SoftBank majority control in a deal would require raising tens of billions of dollars in new debt and could push SoftBank to leverage some of its other assets, including its 29.5 percent stake in Chinese internet giant Alibaba Group Holding Ltd and its 43 percent stake in Yahoo Japan Corp.
SoftBank shares were trading down 2.7 percent at 8,920 yen on Monday morning in Tokyo. Another hurdle for SoftBank would be the price expectations of Charter’s largest shareholder, John Malone’s Liberty Broadband Corp. Charter’s proxy statement to its shareholders in March showed that CEO Tom Rutledge has compensation incentives to take Charter’s share price to more than $564. Charter shares ended trading on Friday at $370.26. What is more, were Charter to agree to a merger with Sprint, it would need the blessing of Comcast. 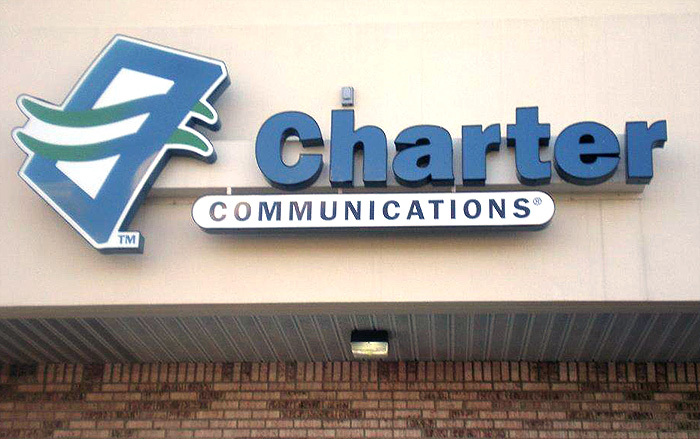 Charter and Comcast announced an agreement in May that bars either company from entering into a material transaction in wireless for a year without the other’s consent. Previous articleVenezuela President, Maduro Claims Election Victory Amid Wave Of Bloodshed.